great job. we are very confident that our home is being taken care of while we are away. I love working with Ram, they seem to really know their stuff. Ryan and his team have been great. They are very responsive, friendly, and professional. There is simply no other company that I would use to keep my home the way I want it to be. They are responsive and helpful, and have been for the last twenty years for us. Hire these guys! Very impressed with your customer service and knowledge about my wasp problem. I will definitely use you again and recommend you to others! always there when I need them. SUPER patient and Great service!!!! Great company easy to work with and are very thorough in their work. Very happy with Daryl’s service. He is very thorough and even took away snake. Responded in a previous email. Your new service teck is great. Thank you. Excellent communication and work. I would recommend you to another person. You are a great company to have for our property. you take great care in providing us security...from pests. Ryan has been super dedicated to service and customer satisfaction. Thank you for the great service. We can start service May 1 as suggested. I appreciate the knowledge base that goes into providing the service but the cost is a little higher than I would like to be paying on a fixed income. RAM goes above and beyond, and always with total kindness! Thanks! Just let me know what we owe you- clarification about the invoice. Ram pest control does a wonderful job! 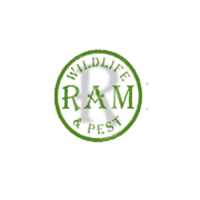 RAM Pest Control provides excellent service. Highly recommend. We are always happy with your service. Never have to worry about pest control. best pest control service in the valley! You guys are doing a great job. thanks. Keeping out home free of pests! Thank you! This crew always shows up and takes great care of our property. They've gone the extra mile to make sure there's no unwanted guests in our house and sneak out without leaving a trace. Highly recommend!